The DYNACYCLE Refrigerant Exchange Program helps the environment, while getting paid to recover CFC and HCFC refrigerants. 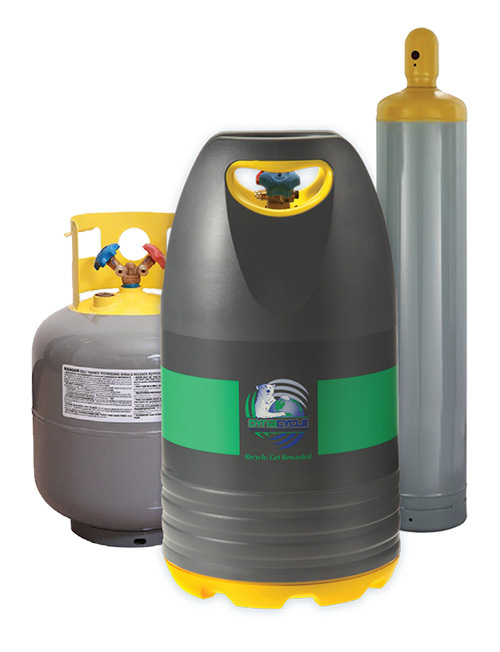 As the market price of phased out refrigerants increases, you earn more for each pound of refrigerant that you recover. You will receive the value of your recovered gas in the form of a credit from your preferred, local wholesale partner. It’s SIMPLE. Bring your filled recovery cylinders to your local DYNACYCLE participating wholesaler, fill out the cylinder tag and exchange them for empty recovery cylinders for the next job. Your wholesale partner will supply you with monthly EPA compliance reports and store credit for applicable refrigerants, good toward any purchase.